At Pirate Botanicals, we understand every person is different and has their own unique pathway to success. However, no matter what it is you want to do, there is a Pirate Botanicals supplement for you! Brainstorming and problem solving can be difficult. Coming up with new ideas, solutions to new problems, and connecting all of the dots is a regular part of cognitive function. The Piratall formula is specially engineered to help the brain improve overall thinking power. Fluid Intelligence (Gf) is known to be different for each individual, as well as to decrease alongside natural aging. The Piratall formula includes key nootropics in giving the brain a better chance to continue quick, fluid, and impressive decision making. Learning is an imperative part of human evolution. Without learning, mankind would have been long ago extinct. This is the case for many of us in our modern lives as well. The Piratall formula is designed to give the brain a more optimized learning advantage everyday. Unfortunately even the most capable of minds will run out of energy and thinking power. Piratall may be used to increase the effectiveness of thinking power. However, it is often combined with Pirate Blast to provide the extra energy boost necessary for longer thinking hours. Simulation is one of the core aspects of human survival. Much like a computer, the amount of successful simulation the brain can produce is limited. Piratall’s nootropic formula was created to better lubricate the brain for the billions of mental simulations required for successful decision making. Long-term success depends upon a strong Crystallized Intelligence (Gc). A well-developed Gc means having the ability to better approach new problems based upon experience. Piratall helps create a mental environment that fosters improved memory retention and recall. Tranquility can be essential for many cognitive activities. Keeping the brain balanced and maintaining a level head is critical in order to process information quickly. Pirate Chill was created to promote a more focused, centered thought process in the brain. Success in competitive activity usually means outperforming the competition. Possessing the greatest level of focus gives an individual an opportunity to perform at peak ability in any competition. Piratall’s formula is packed with many nootropics that are well-known for their focus-enhancing properties. Competitions can be very energy-demanding activities. Sometimes success can simply mean “outlasting” all of the rest of the participants. The Pirate Blast formula contains a lot of energizing nootropics meant to give the brain and body the extra boost it needs to get through the finish line! Teamwork is a critical part of success in a lot of competitive activities. In fact, there are countless activities which can tremendously benefit from smooth communication and leadership skills. Pirate Blast was created with mood in mind and mood can create amazing cohesion in teamwork! Much of competition can be affected by one’s ability to simulate responses and select the most appropriate response to an interaction or stimulation. Piratall’s formula can help improve simulation speed and ultimately help one respond faster to the environmental change. Competitions can be extremely stressful, ultimately impacting one’s ability to perform at peak capacity. The ability to remain calm during a competition can make a huge difference in overall performance. Pirate Chill was crafted to help keep the brain as calm as possible in all scenarios. A lot of competition boils down to having the sheer desire to succeed. The motivation required to be the best is not always such an easy thing to obtain. Piratall was crafted with “unbeatable drive” in mind and the motivation to push even through the hardest of storms! Nearly all competitors benefit from a heightened attention-span and alertness. In many competitive activities, the most alert and fastest responding participants have a competitive advantage. Piratall’s formula focuses on nootropics that are known to boost response time, alertness, and awareness. Many creative geniuses will agree that a lot of great ideas never get off the ground due to a simple failure to launch. Finding the motivation to begin a new project can be one of the most difficult challenges of them all! Piratall’s formula is great for getting the creativity flowing! A lot of creative artists struggle with a number of high tensions. Creating art of any kind of value can be difficult when the brain is never given the chance to think at its prime. Pirate Chill is meant to help even the tensest of minds promote a peaceful thought process. Brainstorming is never easy and some situations are tougher than others. And sometimes even the most creative problem solving can lead to more dead ends. Piratall is absolutely great for those crazy brainstorming sessions that are bound to go no where otherwise! For some creative artists, getting started on a project is not the problem (or the only problem). Some artists struggle with maintaining enough passion to endure and actually complete a project. Pirate Blast was specifically created with mental and creative stamina in mind. Creativity is not limited to just one type of activity. Many creative activities are extremely physical in nature and can involve exerting a lot of energy. This is why performance artists benefit from biohacking. Pirate Blast was created to provide an extra burst of natural energy when it is needed most. In chaos and imbalanced thinking, many artists struggle to produce quality work. Many good artists would agree that finding serenity among the daily chaos of life is key for success. Pirate Chill was designed using a peaceful blend of nootropics that promote a balanced, mental retreat. Having a keen eye is an important part of most artwork or creative projects. Possessing an unparalleled attention to detail can make the difference between a world-changing masterpiece and just another painting or performance. Piratall’s formula helps keeps the mind and attention to detail sharp as a tack! Real ambition, or the raw desire to achieve, is hard to come by. Possessing incredible determination to continue to push forward, even in the hardest of times is a well-revered trait of a successful entrepreneur. Piratall’s natural nootropic formula was created specifically with ambition in mind. Overwhelming determination is often required to complete extensive projects. As an entrepreneur, so many challenges will test one’s ability to maintain their drive and enthusiasm. Piratall was created to help entrepreneurs truly challenge their deadlines and maximize productivity. Critical thinking is an imperative part of success in business. This is especially true when it comes to problem solving in the world of the entrepreneur, as entrepreneurs typically face more challenges. Fortunately, Piratall’s nootropic formula was specially crafted with fluid intellect in mind. Energizing oneself can be hard. Energizing a team can be harder. Having the ability to successfully work with others is important for an entrepreneur in some form or another. Pirate Blast can help break down the low-energy walls and give an entrepreneur a little pep in their talk! Connecting dots successfully means ensuring an ends to a means. Many entrepreneurs realize the importance of long-term planning relatively early in their career. Piratall was formulated to help keep thinking balanced, level, and coherent enough to produce high quality, long-term planning. Attitude is everything in the world of business and working for oneself. Being a successful entrepreneur is extremely difficult when working with a deflated morale. The Pirate Chill formula brings together some of the most encouraging nootropics when it comes to maintaining a positive attitude! Pragmatic thinking is one of the most valuable attributes of a successful entrepreneur. Oftentimes, honest and unbiased assessment is required for graceful exploration and successful expansion. Piratall was derived to help keep thinking logical, reasonable, and sensible at all times. Most professional gamers would agree that reflexes are a big part of being the best in many games. Reacting as quickly as possible and having lightning fast reflexes can be imperative to both survival and success. Piratall was formulated to boost reflexes and can improve in-game decision making time. Communication, teamwork, and leadership can be core components of a lot of today’s games. Having better communication skills provides most gamers a significant advantage. Pirate Blast was created to provide a boost of energy that can give gamers a surge of teamwork and synergy. Gaming can be extremely stressful. The more serious, realistic, or involving the game, the more the emotional stake. That said, keeping a cool and level head during gameplay can greatly improve performance. 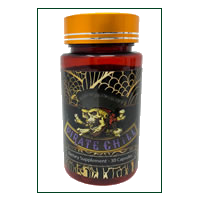 Pirate Chill is formulated with nootropics that have been proven to help reduce real tension. The ability to retain muscle memory, game details, map information, and the countless scenarios that occur during practice and matches can be difficult. Piratall’s nootropic formula helps improve Crystallized Intelligence (Gc), therefore improving overall gaming tenacity. Some games require outrageous hours of practice in order to improve skill. For professional gamers, there are tournaments and competitions that can last all day long. Pirate Blast is formulated with some of the best stamina-increasing nootropics and can provide gamers a huge boost! Thinking as fast as possible is important in most games. This is especially true in competitive games. And in the less competitive games, sharp alertness can still be required for success. The Piratall formula is meant to lubricate the mind and keep Fluid Intelligence as fresh as possible! Boundless energy is important when it comes to physical activity! Most physical activities benefit tremendously from having the ability to remain in peak focus for longer times of physical exertion. Pirate Blast boasts a natural nootropic formula that can create a potent burst of focused energy! Many successful athletes and work out specialists will agree that pacing oneself is important in most physical activities. Ultra high endurance is a trait found among some of the world’s most revered athletes. The Pirate Blast formula was specifically crafted with increased stamina at heart! Many professional athletic teams have proven that teamwork and advanced cooperation can greatly improve a team’s performance. Improving the team’s performance oftentimes improves an individuals performance as well. A lot of the nootropics in the Pirate Blast formula naturally contribute to improved synergy. Possessing a strong muscle memory is an awesome asset and can benefit nearly any physical activity. Even physical activities which exert less energy, such as walking, improve from stronger muscle memory. Piratall contains key nootropics in helping the mind better control the body. Mentally preparing for physical activity can be a daunting task, even for those people who consider themselves physically attuned. All people perform better in physical events, competitions, and activities, when properly prepared. The Piratall formula makes the ‘mental side’ of physical activity much easier! So many people focus on the preparation and participation of a physical activity itself that they often forget about planning a solid cool-down. Whether working out, going for a jog, playing tennis, or participating in a rigorous competition, the Pirate Chill formula greatly supplements the recovery process. A leader is comprised of many qualities. One of the most important qualities of a leader is the ability to set a good example while maintaining general oversight. The Piratall nootropics formula is created with leadership in mind, helping to maximize the leadership skills necessary to succeed. Motivation is one of the most priceless assets in the world of business and productivity. Nearly any professional can agree that motivation is important in even the smallest of tasks. Piratall’s cognitive enhancement-based formula specifically targets energizing motivation. Sometimes it can be easy to get caught up in smaller tasks or routines. Many successful professionals find that understanding the largest scale perspective is important too. Piratall provides key nootropics that can be invaluable in terms of generating better macromanagement skills. Possessing a thorough understanding of how an operation or task is completed is necessary to achieve stellar performance in that activity. A professional should have the ability to understand critical details. Piratall can help provide the brain the best chance for interpreting and retaining these kinds of details. Having an ability to relate to others is important for most professionals. Understanding a situation or problem usually involves having some level of empathy for the variables associated with the scenario. Pirate Chill’s formula can help a professional take a less-hasty, and often more successful approach. Being a true professional requires a lot of real work. Often this is hard work and comes at the cost of a great deal of energy. In the world of the professional having a supercharged performance can be invaluable. Pirate Blast was formulated specifically to increase energy and can help professionals go longer! The ability to stand out and truly impress is one of the most sought-after attributes among professionals. Being the best in a profession or field means a lot and excelling can be rewarding in many ways. Piratall can help professionals bring the best out in themselves and reach their highest potential in their field! Chaos and mental breakdown can become quite the neurotic complication! Sometimes tuning out the chaos can be difficult. And relaxation is necessary to successfully recharge one’s batteries. Pirate Chill focuses on an entirely natural nootropic formula that helps the mind catch up on needed R & R.
The after effects of having “gone a little too hard” can sometimes be embarrassing. However, the Pirate Blast formula focuses on energy-producing nootropics that are natural, cause no unwanted “energy crash,” and which can even help the body pull itself together the next day. Many people function best on a regular sleep schedule. But some people are still looking for a peppy, cognitive enhancer that does not come with a negative crash (like sugar or synthetic caffeine crashes). Piratall is a natural nootropic formulated to work great with any sleep schedule, promoting a relaxed state of focus! Music is one of the few cultural attributes that transcends time and so many other barriers. Understanding music can be difficult, much less fully appreciating it. The Pirate Chill formula includes many nootropics that promote a more tranquil mindset that can be perfect for helping the mind further break down and feel the music. Social situations can be quite demanding on one’s Fluid Intelligence (Gf). Possessing the ability to command a conversation and dazzle listeners can become inextinguishable in memory. Piratall is crafted with some of the most energizing nootropics available in terms of raw thinking power! The ability to remain calm is incredibly valuable in nearly any situation. In terms of social activities, possessing a calm personality can maximize comfort in conversation and with meeting new people. Pirate Chill was derived to help reduce the stresses that build up in the mind, including those stresses caused by social stimuli. Becoming the life of the party can be hard. It can also be extremely rewarding. Standing out is important, and having social bravado is one of the greatest ways to shine! 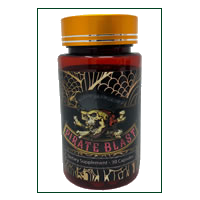 Pirate Blast helps provide a natural, energizing boost to the mind and body that brings any social affair to life. There are many types of social events and they vary in terms of “length of commitment.” Sometimes, events can be so boring that it is hard to stay awake. Other times, the event ends so late no one wishes it were over! Either way, Pirate Blast was created to prolong alertness in even the latest of hours! A successful social event usually means impressing everyone without falling flat on one’s face. And usually, it is difficult to sound smart while also balancing a wine glass between two fingers. Piratall uses only natural ingredients that have been proven to help improve wit and overall coordination between mind and motor control. Student life can make studying difficult. Campuses and student lifestyles naturally offer many distractions. These distractions can make it hard to remain focused. Piratall was partly developed to increase attention-span. It can also help motivate students to stay focused on the topic or task at hand. From memorizing complicated calculations and facts to remembering class schedules, students are required to keep track of some of the most ridiculous amounts of information and data. Piratall contains many key nootropics for improving overall memory functions, which are invaluable traits for student-life. So much of a student’s life relies on successful test scores. Obviously, Piratall’s benefit to memory and cognitive functions come greatly in hand when preparing for a test days in advance. However, the Piratall formula also boasts an immediate advantage to acute focus and reasoning skills on the testing day itself. Brain stress can build up over time and have significant impacts on a student’s ability to perform their best. Stress can have both short-term (lower test scores, worse attention-span, etc.) and long-term (lower GPA, less satisfying social life, etc.) impacts. Pirate Chill was created to help keep the brain balanced, giving students maximized perspective. Simple thinking results in simple solutions. Some problems require more creative perspectives and a little “thinking out of the box.” The Piratall nootropics formula was derived to produce the greatest immediate boost to Fluid Intelligence (Gf), reasoning, and overall problem solving. Ambition and motivation are a huge part of succeeding throughout school. Learning requires a great deal of motivated perseverance. Piratall can help students who are ambitious but lack motivated drive. The Piratall nootropics formula can help give students the spark that fully ignites the motivation train. Finding answers to simple problems can be easy. However, maintaining incredible, legendary vision for the future of a company or project is significantly impressive! Piratall contains all of the key nootropics necessary to bring out the visionary and genius required to truly shine! Many workplace assignments or projects require a variety of collaboration with teammates. The ability to communicate between teammates is imperative for the success of most work activities. Pirate Blast can provide a cognitive and physical boost that is perfect for energizing teamwork. Even the most optimized workplaces cannot eliminate all of today’s distractions. Finding a state of mental peace that allows one to perform their best is always challenging. Fortunately Pirate Chill was created with real peace and tranquility in mind and can significantly improve clarity in thought. Work is rarely fun for anyone. But having an accelerated drive means an energized, motivated attitude that generally makes work more productive and more fun. Pirate Blast boasts an all-natural formula that focuses on creating a boost to energy, drive and enthusiasm! If there is a way, improving efficiency in nearly any task is almost always the smartest choice! Admittedly, sometimes finding ways to improve efficiency can be next to impossible. Piratall’s smart-nootropic forumla was created to help the brain work out the details and make thinking as efficient as possible! Being productive at work is one of the most important skills to get under the belt quickest. In fact, productivity is probably one of the biggest measurements of success in nearly any industry! Pirate Blast was created to give even the hardest workers an extra boost to overall productivity! In a working environment, having a diluted thought process, feeling too tired, or having a case of the scatterbrain can have some pretty detrimental consequences. In short, scatterbrain has never helped anyone. Piratall’s natural, nootropic formula was derived to help the brain better optimize and organize thought. Disclaimer: These statements and information have not been evaluated by the FDA. Pirate Botanicals supplements (as well as this information) are not meant to diagnose, cure, treat or prevent any ailment, illness, disease or condition. None of our products should replace a face-to-face consultation with a licensed medical practitioner.